Hepatitis A, measles, and yellow fever are serious viruses which modern science has created innovative vaccines to protect humanity. Even the seasonal flu, which can ‘shift and mutate’ has several protective vaccines available from which people can choose. But, there’s no vaccine available today to prevent the common cold. The search for a vaccine for the common cold began over 50 years ago and continues today. This vaccine search is confronted by a large group of pathogens known as rhinoviruses. Rhinovirus infections occur year round with seasonal peaks of incidence in the early fall, usually September to November, and again in the spring from March to May. During these time frames, up to 80 percent of common cold illnesses may be associated with rhinovirus infection. A common cold vaccine would have to address more than 200 different varieties of viruses that can cause colds, says the Centers for Disease Control and Prevention (CDC). 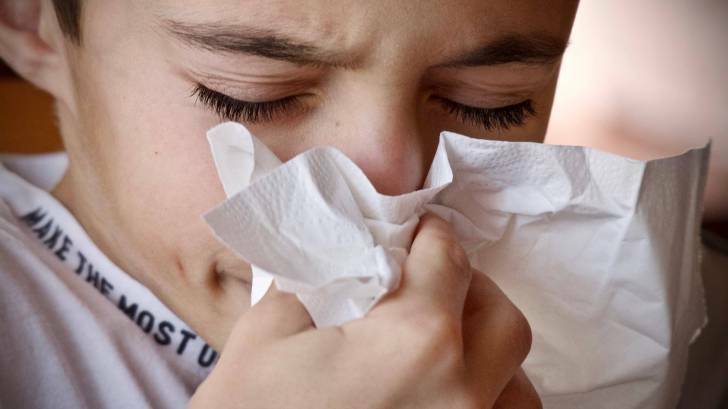 Edinburgh Napier University: A five-year study into peptides from different mammals found they all had properties that can combat rhinovirus, the main virus responsible for the common cold infection in humans. Emory and Children's Healthcare of Atlanta: Research showed that serum nAb against many rhinovirus types can be induced by polyvalent, inactivated HRVs plus alhydrogel adjuvant. Imperial College London: Early lab-based tests with human cells have shown the molecule’s ability to completely block multiple strains of the cold virus, and the team hope to move to animal and then human trials. “It is very difficult to put a timeframe on these things, but they are all probably about 5 to 10 years from potentially producing a viable treatment,” wrote Peter Barlow, PhD, associate professor, Immunology and Infection, and Director of Research of the School of Applied Sciences, Edinburgh Napier University, Edinburgh, Scotland. Dr. Barlow is investigating antimicrobial peptides—which are key components of the innate immune system that have immunomodulatory and antiviral effects—as a novel cure for the common cold. This CDC recommendation is due to the common cold being so contagious. It can be spread by air droplets from coughs, sneezes and by touching infected surfaces. And remains contagious from 1–2 days before the cold’s symptoms begin. Although you feel awful when you have a common cold, people generally do not develop serious complications. This is one way to distinguish the common cold from an influenza virus infection. Both are respiratory illnesses, but they are caused by different viruses and generally have different symptoms, says the CDC. “Influenza has an abrupt onset while the common cold generally has a gradual onset. High fever, chills, and headache are very common with influenza, but they are rare with a common cold,” explained Natasha Gildersleeve, PharmD Clinical Pharmacist MTM and Immunization Specialist for Brookshire Grocery Company. “Stay home if at all possible, avoid close contact with other people, cover your mouth when you cough or sneeze, disinfect frequently touched surfaces and make sure to wash your hands frequently,” continued Gildersleeve. ‘You should call your doctor or pharmacist right away if you are at high risk for serious flu complications and get flu symptoms such as fever, chills, and muscle or body aches,’ says the CDC. Where is the Vaccine for the Common Cold?